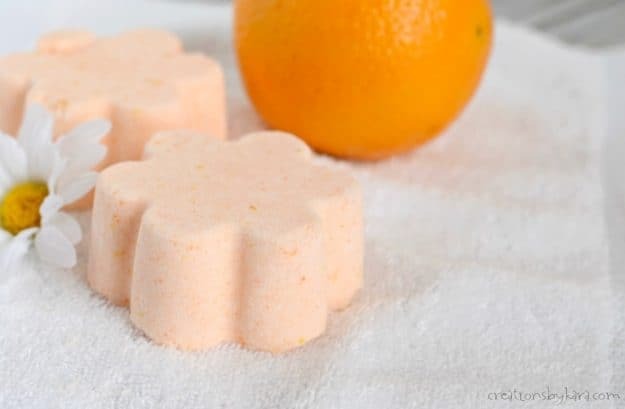 DIY Orange Bath Bombs – save money by making your own fizzy bath bombs right at home! Truth be told, I am more of a shower girl than a bath girl. But there’s just something magical about dropping a bath bomb into your bath water and watching it fizz right before your eyes. It’s just so relaxing. 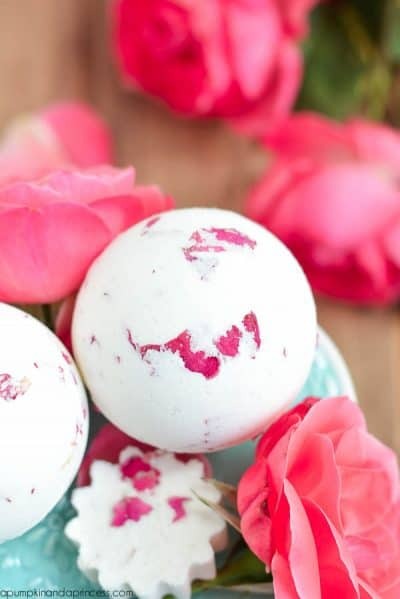 The process for making your own bath bombs is simple. Basically all you have to do is mix up your dry ingredients, then add the oils. Spritz the mixture lightly with water just till it forms together. It’s kind of like playing with sand, but trust me, it smells much better! 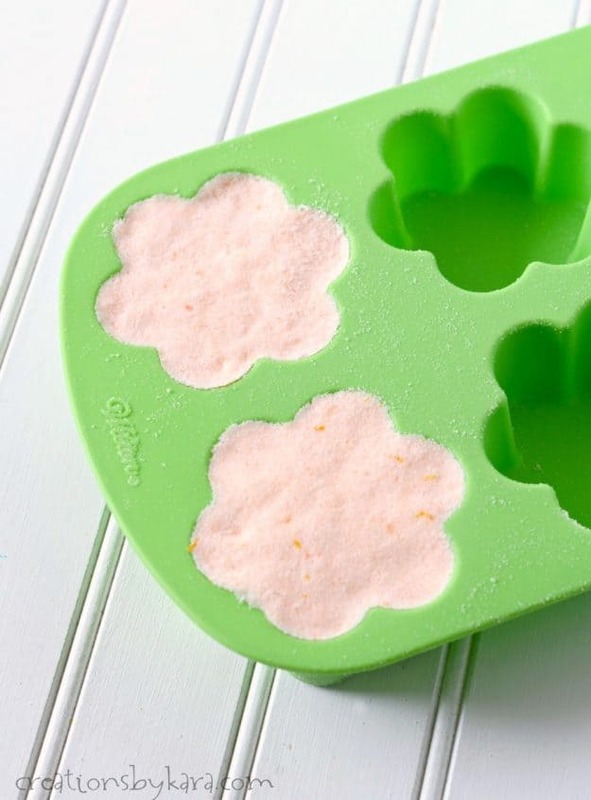 After you have everything mixed together, you just need to mold your bath bombs. You can use plastic ornaments, silicone molds, or even Easter eggs. For a rustic look, you can even just roll them into balls by hand. 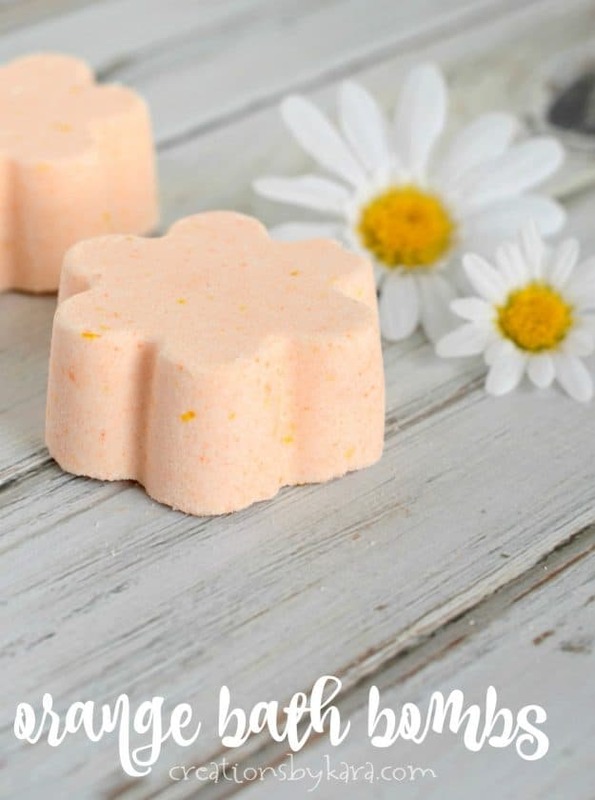 I used a flower shaped mold for mine, and I think they turned out so pretty! Just make sure you press the mixture very firmly into whatever mold you use. 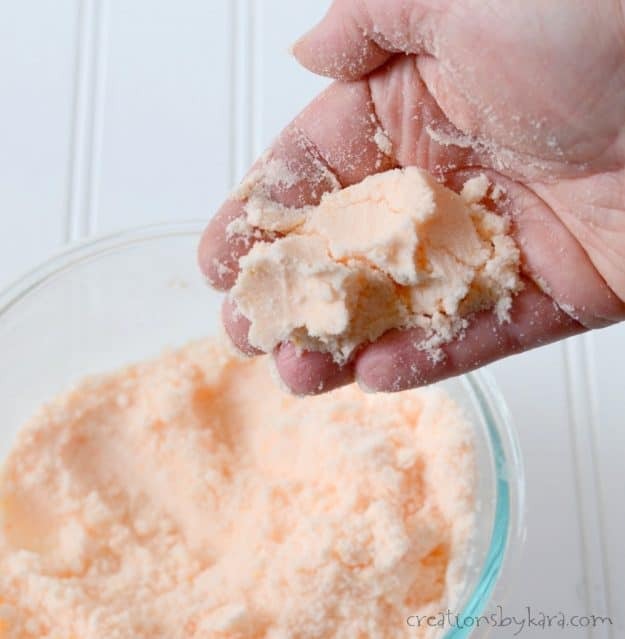 After they dry for several hours, you will have beautiful orange bath bombs all ready to use. 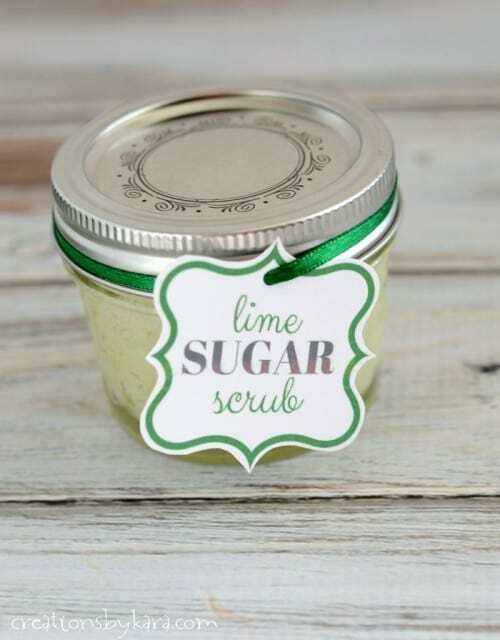 Just drop one in your bath full of hot water, then sit back, breathe in the refreshing citrus aroma, and RELAX! 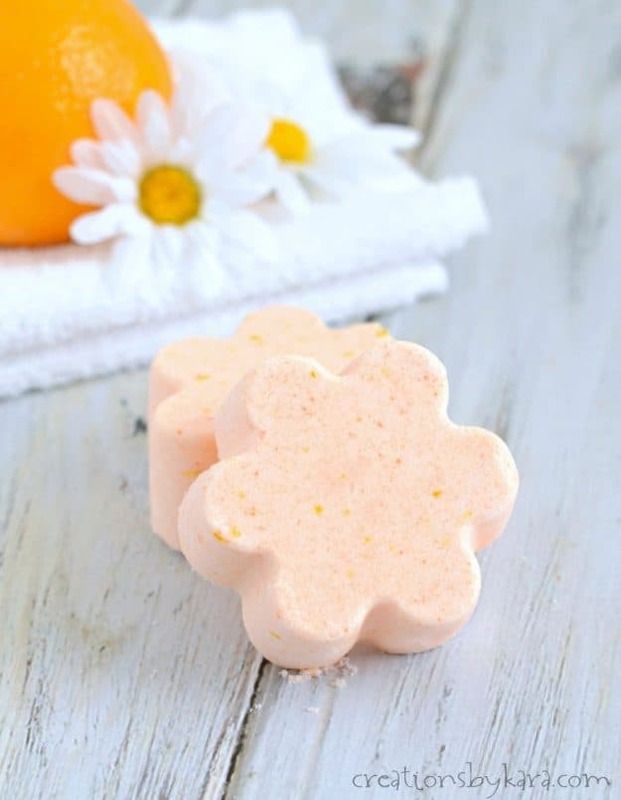 Orange scented bath bombs are easy to make at home, and they make great gifts! 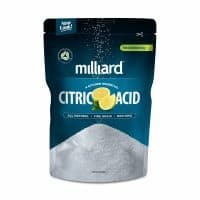 Combine baking soda, citric acid, corn starch, epsom salt, and orange zest in a mixing bowl. Whisk till free of lumps. 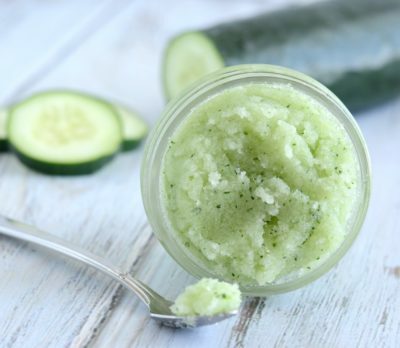 Melt coconut oil in a small glass bowl in the microwave. Add the orange essential oil and food coloring if desired. Add the oil mixture to the dry mixture and mix well with your hands. Lightly spritz with water a couple of times to get the mixture to barely hold together. Don't add too much! Press the mixture firmly into molds. 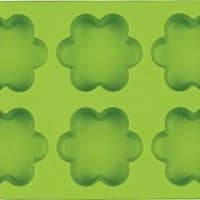 I used cute flower molds, but you can use a plastic ornament mold, or even a plastic Easter egg. Let dry for at least 4 hours before carefully removing from molds. 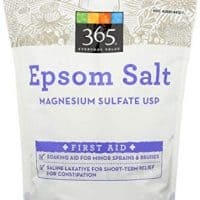 As an Amazon Associate and member of other affiliate programs, I earn a small amount from your purchase, no cost to you. You can keep them for yourself, or you can give them as gifts. 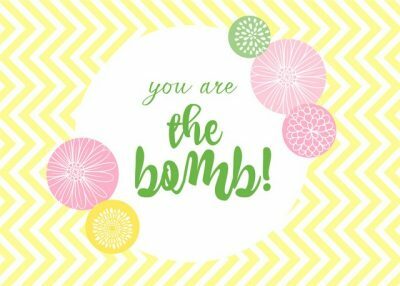 I am including some free printable gift tags that you can use. 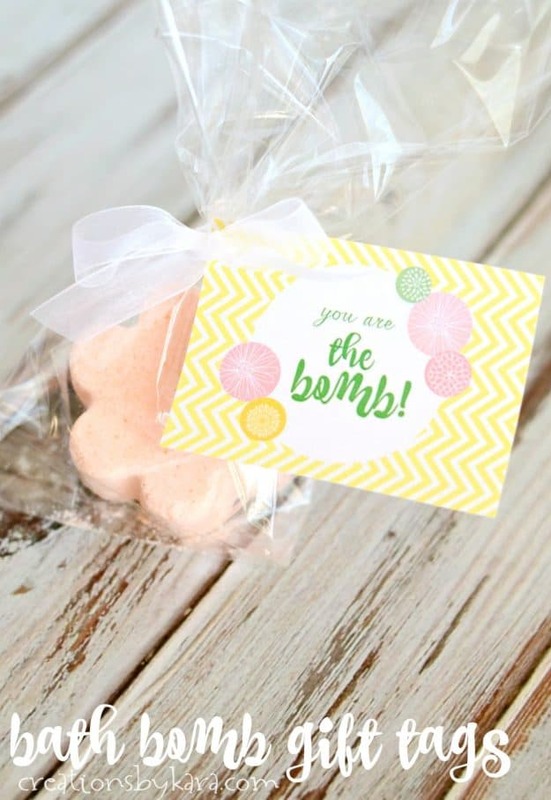 Just place a bath bomb or two in a cellophane bag, tie on the tag with some cute ribbon, and you have a perfect gift! I like your variation, especially with the orange zest. I recently made some for birthday gifts for some teenage girls and they were a hit. 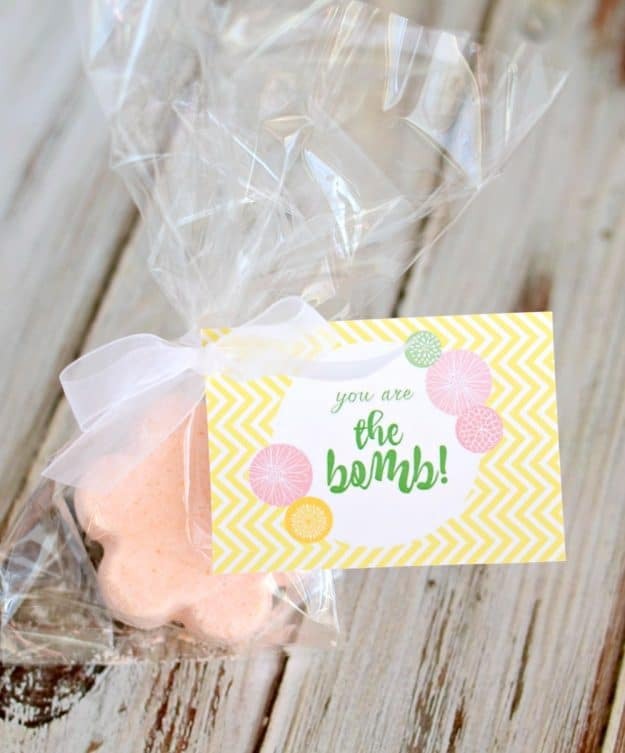 What a simple project to make for a baby shower favor! I love that idea Melanie!